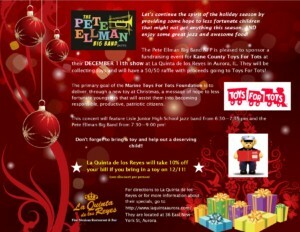 Home/December 11th: PEBB w/Lisle Junior HS Jazz Band TOYS FOR TOTS FUNDRAISER! Lisle Junior HS Jazz Band will open for us from 6:30 – 7:15 pm and the Pete Ellman Big Band will play from 7:30 – 9 pm. This evening we will also have our Toys for Tots fundraiser. 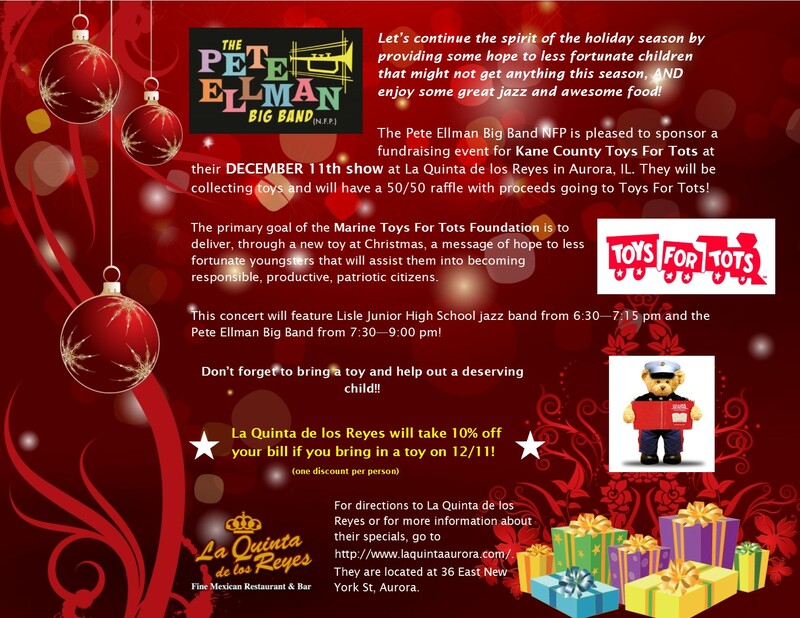 If you bring an unwrapped toy to help put a smile on a deserving child’s face this holiday season, La Quinta de los Reyes will give 10% off your bill. There will also be a 50/50 raffle benefitting Kane County Toys for Tots.